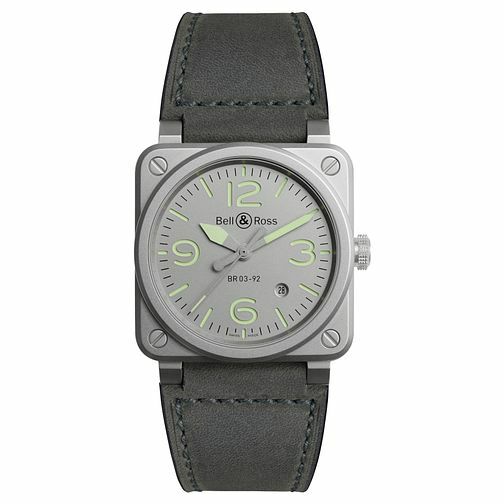 Wear the distinct industrial style of Bell & Ross, powered by an automatic movement and covered with Super-LumiNova coating that glows in the dark for night readability. The square dial defies conventional watch design by housing its circular centre and punctuated with screw accents. The silver dial showcases its extra large Arabic numerals and a date aperture, atogether fitted with a sturdy grey leather strap. With the expertise of hundreds of years of Swiss watchmaking, wear it with pride as you go against the grain of popular styles.